Create amazing animations without endless hours of coding. Ever slogged through creating responsive, user-considerate, and downright drool-worthy web animations? When it comes to animations on the web, it is the creative thinking that makes it stand out from the crowd. The code behind the animation is the function that makes it work. What if you could put your ideas into practice without having to learn to some heavy coding techniques? 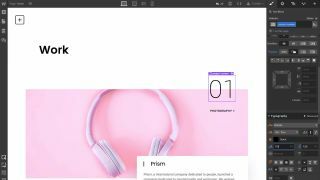 This is what Webflow aims to do: it creates tools that empower creative brains to produce awe-inspiring technical feats for the web (no code required). Leonard Souza, tech lead at Webflow, will be joining us at Generate London on 20-22 September to walk you through today's treacherous landscape of web animation. Click the image below to purchase your ticket.